Working with Porter Athletic, Toadvine can provide a variety of volleyball systems for both indoor and outdoor play. When instant and frequent volleyball court setup is required. 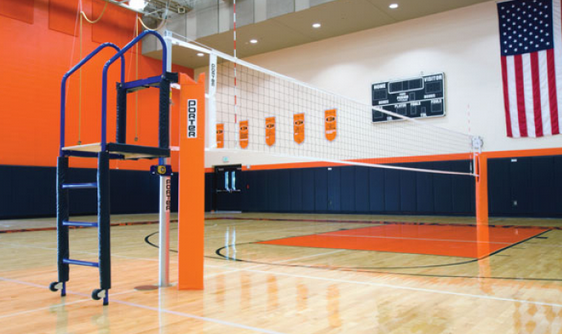 The entire volleyball system, including net, judge’s stand, and padding quickly and conveniently fold to the overhead storage position electrically. Contact Toadvine to request more information about the variety of volleyball systems available to meet your specific needs.